Villarreal fires coach Fran Escriba after the team's disappointing start in the Spanish league, naming "B'' team coach Javi Calleja as his replacement. Villarreal promoted B team coach Javi Calleja to first-team boss on Monday following the sacking of Fran Escriba and his backroom staff. A 0-4 thrashing at the hands of Getafe on Sunday left Villarreal just three points above the relegation zone in 14th with seven points from its first six games. "Villarreal CF and Javi Calleja have reached an agreement for him to become first team coach for the 2017/18 season," Villarreal said in a statement. "The club have gambled on an in-house appointment, who until now has managed Villarreal B and developed as a coach in the youth academy of the club." The 39-year-old Calleja is a former striker who has been coaching Villarreal's youth squads for the past six seasons. He played for Villarreal when the club made it to the semifinals of the UEFA Champions League in the 2005-06 season. His first practice session as the team's new coach will be on Monday. Escriba, 52, was a surprise appointment when Marcelino Garcia Toral was sacked just days before the start of the season in August last year. 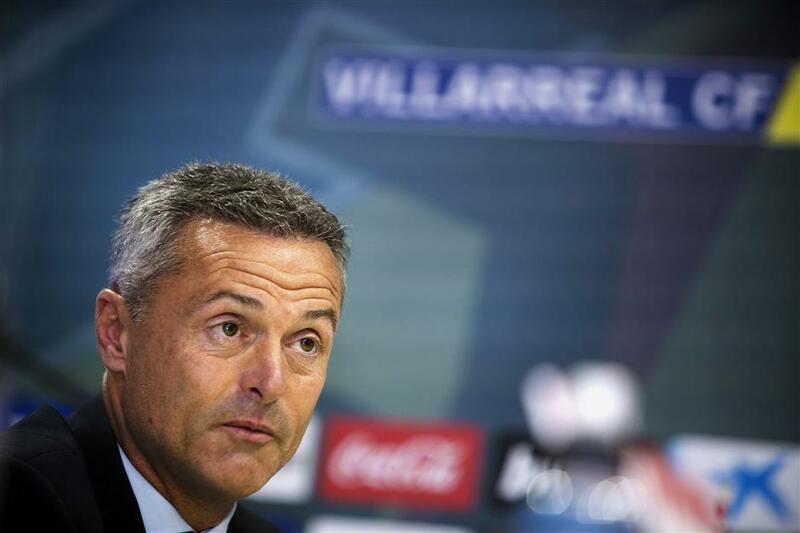 "Villarreal CF have decided to rescind the contract of Fran Escriba as coach of the first team," the club said in an earlier statement. "The club want to thank the coach, his assistant Josep Alcacer and fitness trainer Jose Mascaros for their work and dedication." Escriba led the Yellow Submarine back into the Europa League by finishing fifth behind only traditional powerhouses Real Madrid, Barcelona, Atletico Madrid and Sevilla last season. The former Getafe coach had renewed his contract in May to the end of this season after being appointed in August 2016. But he becomes already the second La Liga coach sacked this season after Argentine Luis Zubeldia lasted just four games in charge of bottom-of-the-table Alaves. Villarreal was promoted to Spain’s top flight in 1998 and 10 years later finished runner-up to Real in its best league campaign. The team suffered a shock relegation in 2012 but was immediately promoted the following year and has played in the Europa League each season since. The team's next league match is on Sunday against Eibar. Meanwhile, Simone Zaza’s 85th-minute winner in Valencia’s 3-2 victory over Real Sociedad on Sunday was bittersweet for coach Marcelino. The 52-year-old appeared to pull his hamstring as he celebrated the goal which took his unbeaten side up to fourth in La Liga before limping gingerly back to the dugout in obvious pain. “I’m a bit older, there are certain situations in which I must control myself," he joked with reporters. Marcelino was appointed Valencia coach in May and has started well at the Mestalla after becoming the club’s 10th manager since Unai Emery left in 2012. Villarreal head coach Fran Escriba during a press conference held to announce the renewal of his contract in Villarreal, eastern Spain, in this May 25, 2017, photo. Villarreal announced Escriba's dismissal on September 25, 2017, after the team's 0-4 loss to Getafe the previous day.